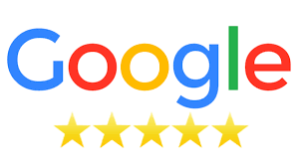 Kieri Solutions has a solid 5-star rating on Google Maps! Thank you! Check our testimonials page for customer reviews and recent projects. All of our projects are managed by a certified Project Management Professional (PMP). All cyber-security work is lead by a Certified Information Systems Security Professional (CISSP). Every major project includes turnover to your staff. This includes training for day-to-day management, information about how the system was configured, and a full list of accounts and passwords. All of our projects include a testing phase. By testing essential functions like backup and restore, fail-over, and performance under load, we find and fix problems before the system goes into production. Our engineers are background checked, professional, courteous, and trustworthy. Kieri Solutions offers free courses to small business and entrepreneurs in the area. 2019 topics are Registering your business online, Website 101, Cyber-security for business, and SEO. Send an email to info@kieri.com for a schedule. Resilient IT means designing your network so that it can handle common threats. Viruses, hackers, hardware failure, power outages, and mistakes. This is our specialty. VMware upgrade to 6.5 consultant. VMware install and add maintain services server hardware, consultant. Netapp disk shelf install and maintenance (or other SAN), consultant. 2FA two factor authentication setup consultant. Configure DMZ Firewall and internal network segmentation. Cybersecurity compliance such as IT Policy writer for cybersecurity, NIST 800-53, and other programs. Business Continuity Plan. Small Business IT assistance for startups, entrepreneurs, men-owned, women owned, and minorities. Free training and assistance for small businesses - web, SEO, computers.